This is another part of the Taiji campaign. We need to raise awareness of the link between drive hunting and the captivity for human entertainment industry and of the suffering of the dolphins/whales in human care. 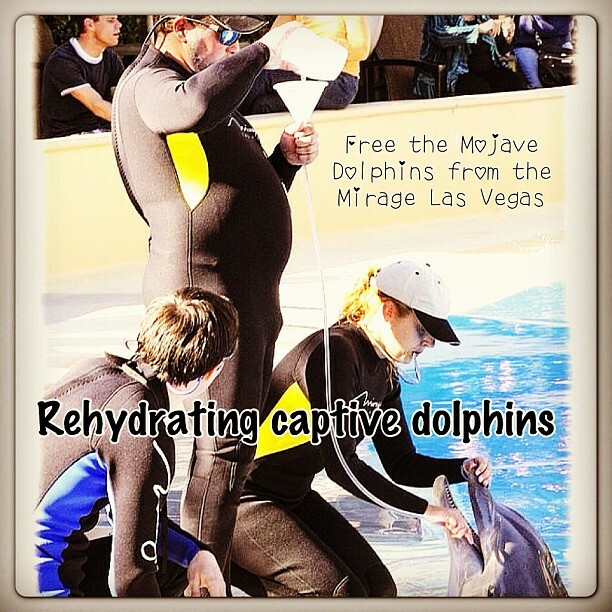 This entry was posted in Dolphin, Taiji Terror Tales, whales and tagged animal welfare, dolphin, Dolphin Captivity, Las Vegas, Mother Nature, The Mirage las Vegas, whales. Bookmark the permalink.